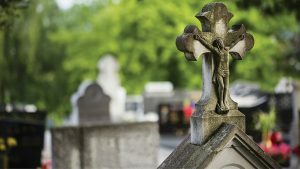 The Diocese of Paisley has composed a set of guidelines to take the bereaved through the process of planning a funeral. The passing of a loved one is a time of grief and arranging their funeral rites can be an unfamiliar and anxious time. The Diocese of Paisley has guidelines on the diocesan webpage to take you through the process of contacting your priest and arranging the funeral rites with him. Hopefully, these guidelines can help an anxious time become one of consolation and peace. Click below to access the guidelines.